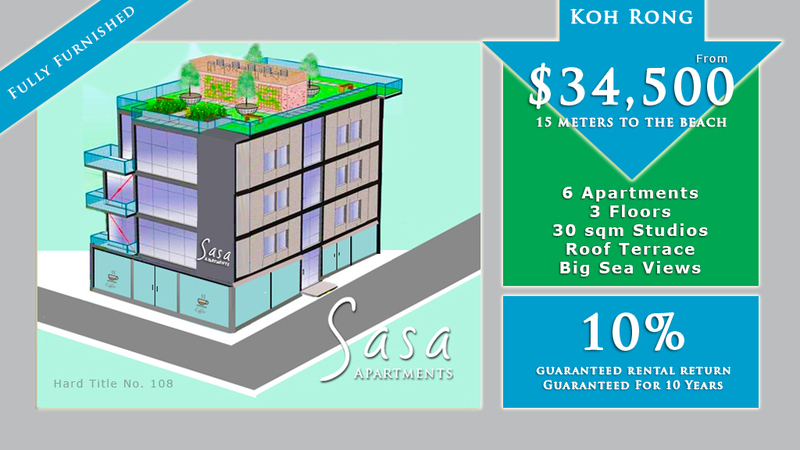 Sasa Apartments will consist of 6 apartments over 3 floors ( 2 per floor) and only 15 meters to Koh Touch beach and 30 meters to the pier. The 30 sqm air conditioned studio apartments have an open plan bedroom with fitted wardrobes, kitchenettes, quality bathrooms with hot water and an office / living area with a small balcony. 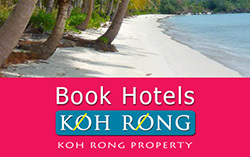 All apartments have exlclusive use of the roof terrace which has views over Koh Touch, to Koh Rong Samloem and even as far as Sihanoukville. 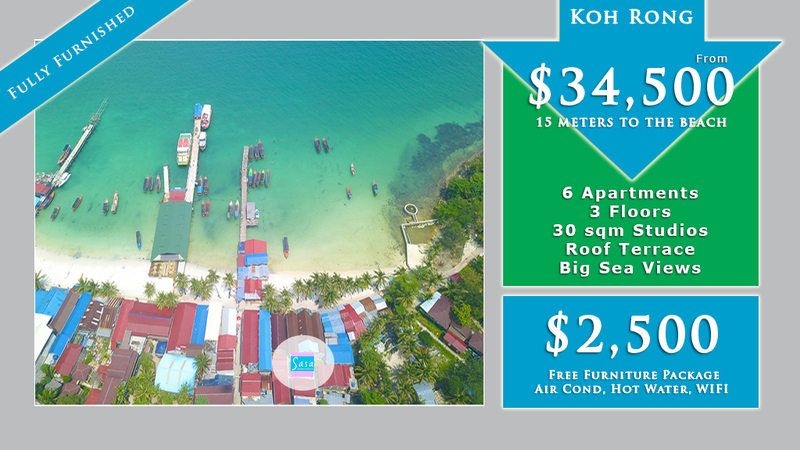 This gives the new owners a complete lifestyle meters to the beach and close to all of the amenities Koh Touch has to offer. 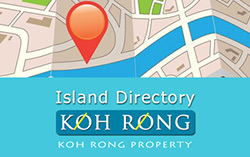 All buyers are welcome to buy as a private residence or receieve a guaranteed 10% rental return on their investment for the next 10 years, the choice is yours. The apartments are sold fully furnished with bed, sofa, kicthenette, fitted wardrobes, desk and chair, air conditioning, hot water and fast wifi. 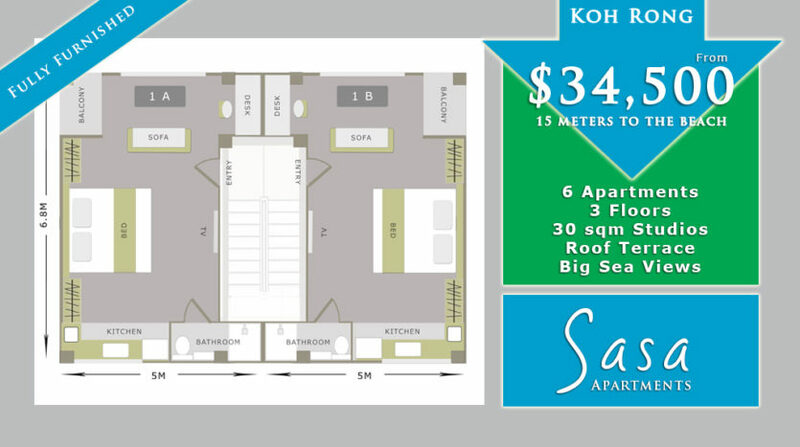 Sasa Apartments are the first apartments to be built on Koh Rong and with the location so close to the beach, the property should appreciate big returns over the short term. The land is hard title. Construction will start on January 4th and we expect a 6 – 7 month construction schedule. To secure your apartment, you pay 30% on signing contract and payment terms over the build duration. 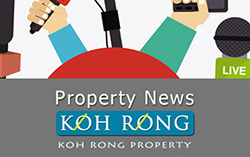 For more information, contact Brad King on +855 81 854 371 or connect via WhatsApp or Messenger.